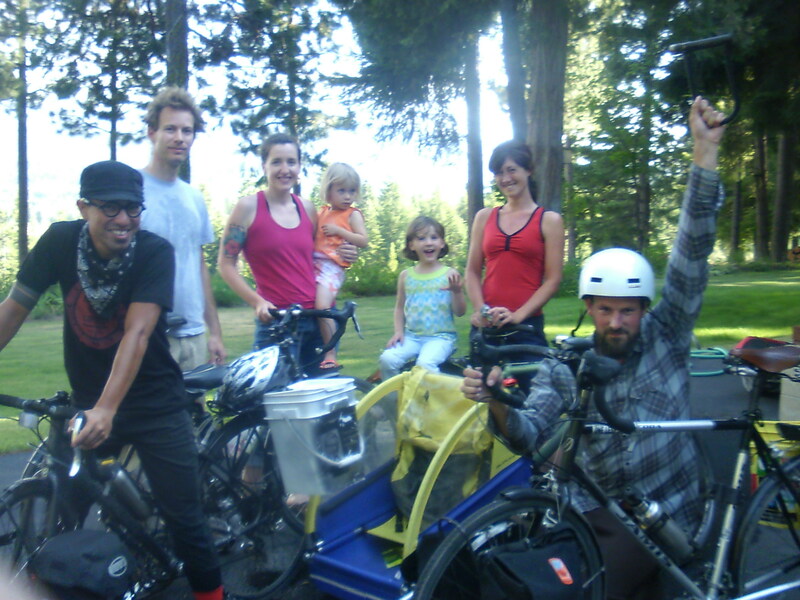 This week we speak with Team Sincerity, the group of people who climbed several mountains with bikes and kids to get to Crater Lake, and all in the name of good fun. Aaron Flores & Adele Dittus join us in studio, and Adam & Jodie Rust phone from Seattle. We discuss: beer, soda, and pigeonholing, the origin of Team Sincerity, Warmshowers.org hosts Roger & May, road magic and generosity at Hobo Camp/Club Hobo, sickness and the hill climb from hell, Xanterra’s poor customer service, and many other things. UPDATE 9/29/11: Photos from the trip, which should have been shared some time back!. Adele falls over in her chair, and Brandon is absent to connect with neighbors. Brock & Adele drink the fantastically bad Game Day Ice from 7-Eleven, and Aaron drinks a Henry Weinhard’s Root Beer.